Make this summer your best one yet with a summer bucket list! Don’t know what to add to yours? Then check out ours! Long Islanders enjoying a beautiful day at Jones Beach. Photo by: Kelly Tenny, LongIsland.com Staffer. 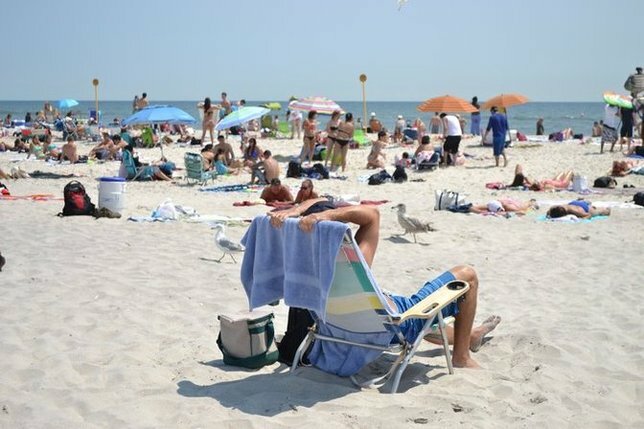 When it comes to the summer season, there’s denying that Long Island is the place to be! From visiting the beautiful beaches on both the North and South shores, to taking the whole gang out to one of the many family-friendly parks located on the Island, all with plenty of opportunities for outdoor fun and recreation, to heading over to one of the walk-around towns on Long Island to browse the various shops and local restaurants, there’s never a lack of things to do and see! One way to ensure that this summer is your best one yet, is to make a bucket list of things to do! It doesn’t have to be skydiving or running a marathon (Though both are excellent choices for thrill-seekers on Long Island!) your list can comprise of whatever it is that makes you happy - like hosting a summer barbecue for your friends and family or becoming a volunteer at a local cause that you’re passionate about! The possibilities are truly endless. Go for a ride this summer at a Long Island amusement park! Cool down this summer by going for a dip at an indoor, or outdoor, public swimming pool! Make your way over to the iconic “Big Duck” in Flanders and snap a few photos (Perhaps a selfie!) with the large Pekin shaped structure on the roadside of NY-24. Whether you’re 8 years old, 18 years old, or 58 years old, everyone can enjoy a round of putt-putt! Go check out some nearby mini golf! Make it a girl’s night out on the town in Port Jefferson, Huntington, Patchogue, or another great bar/restaurant town on Long Island. Take advantage of all of the seasonal fresh fruits and vegetables by going berry picking or visiting one of the many local farmers markets on the Island. Make yourself a home away from home during a long weekend by renting a Montauk vacation home! Take a hike through West Hills County Park on the historic Walt Whitman Trail to Jayne’s Hill, the highest point of Long Island. They say that nowhere else beats NY pizza! Grab some hungry friends and go try out the various pizza places in your town. Then vote on which one has the best pizza! Head out to the open waters to enjoy some fishing on a charter boat or cruise. Let out your inner Sommelier by spending a day vineyard hopping on the North Fork! Go to the beach. Go as much as you can. Pretend that you’re a racecar driver at a Long Island go-karting course! Looking to enjoy a calming afternoon? Go spend some time with the beautiful flora at a Long Island garden or arboretum. 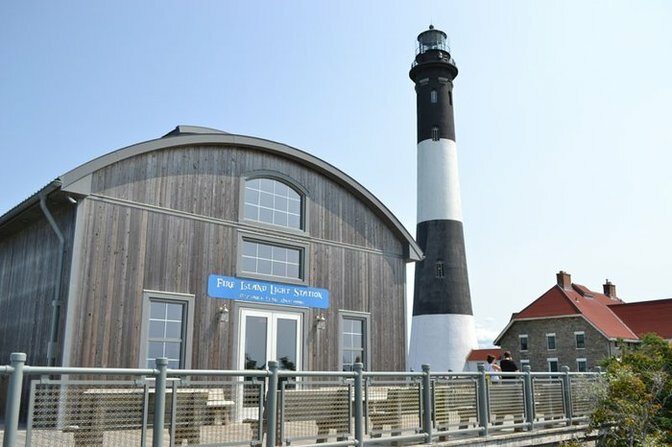 Walk the ¾ mile boardwalk at Robert Moses State Park to the momentous Fire Island Lighthouse, which was built back in 1858. Adventure out to the Fire Island Lighthouse from Robert Moses Moses State Park. Don’t mind getting a bit messy? Then why not give paintball a shot! Lend your ears to free musical performances at Eisenhower Park, Smith Haven Mall, Clark Botanic Garden and other places around the Island. Even if the weather outside is yucky, you can still have a ton of fun at a Long Island laser tag arena! Make teams and see who the winners will be! Forget Broadway! Save some money and be a patron of the arts in your local community by catching a play at a Long Island theatre. A bit of rain keeping you inside? Then why not head to the bowling alley to try your hand at rolling a strike! Act like it’s Christmas in July and glide your way over to a Long Island ice skating rink! Cool off this summer with an ice cream cone from an ice cream shop on the Island. School may be out, but it’s always a good time to learn something new at a Long Island museum! Brave the great outdoors by packing a tent, sleeping bag and food for a night under the stars while camping. Laughing is the best medicine, so head on over to a comedy club with some friends! Enjoy a nighttime round of billiards on a warm summer night. Find out what the future has in store for you by visiting a psychic medium and getting your palm read! What is on your Summer 2016 Bucket List? Be sure to let us know in the comments! Subject: LongIsland.com - Your Name sent you Article details of "Summer Bucket List 2016: Celebrate Summertime with Tons of Local Fun Right Here on Long Island!"